If anybody here doesn't like mini albums please raise your hand! I don't think there's anyone...right? Mini albums are so pretty, easy and great they are every body's cup of tea. A while back I shared with you the 10 Reasons to Create a Mini Album and I hope I convinced the few that were still on the fence about mini albums. Today I want to go a step further and get you all excited about interactive mini albums. Interactive mini album is a mini album that has active mechanisms inside, such as pockets, flaps and tags. The viewer is not just looking at pages and photos but has to be actively participating by opening, pulling, sliding parts on the page. 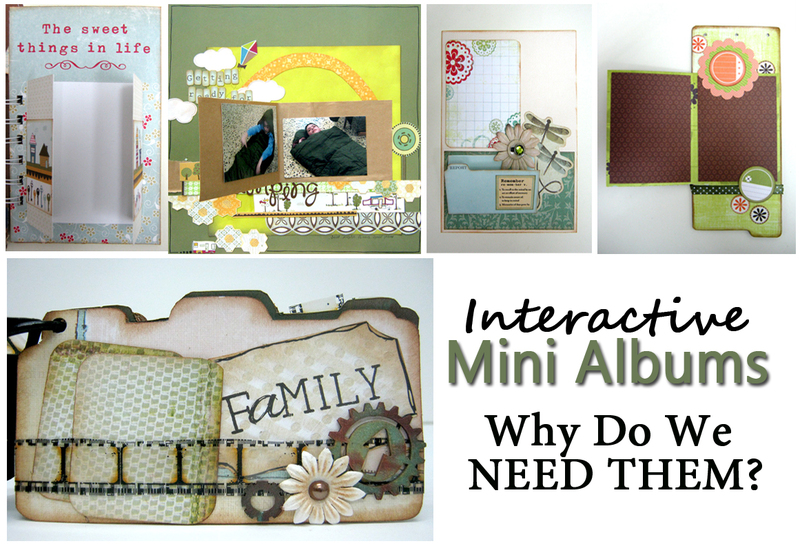 I love interactive mini albums and I want to show you why. A mini album has lots of space for photographs in a compact-size album, because all those tags, flaps and pockets allow you to add more photos and journaling in the same size page. Interactive mini albums are heaven for all you technique lovers. Creating these moving mechanisms is easy but requires knowledge with the basic paper engineering techniques. Once you master those, and like I said it's really easy, you can go wild with your imagination. When you create an interactive mini album the result is AMAZING! It looks much more professional and complicated and it makes you look like an accomplished master crafter (which you are!) People will be looking at the mini album over and over again and wondering how you did you create it. If you are a mini album enthusiast interactive design is the next step that will take your mini albums to the next level. 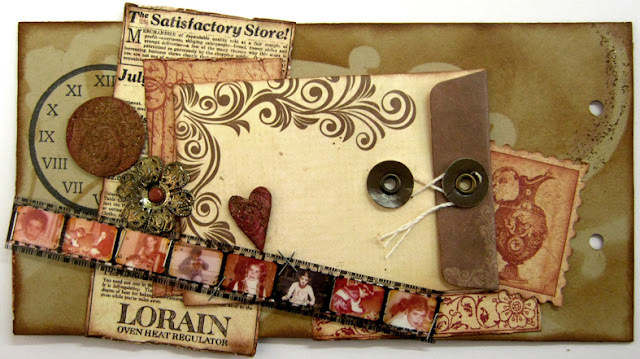 It will give you a new versatile set of option to add to your mini albums. Interactive techniques will be a new injection of fun to your craft night with friends, crops or gifts! If you are then come on board and join the fun! If you don't know where to begin or you are confused by all the interactive pages and albums online you can join "inter-ACTIVES" - Moving Mini Albums Class and learn everything you need to know about interactive mini albums!